The archaeological place of Tikal was the first political entity of the ´classic period´. It was a `city-state’ that dominated and area of approximately 2, 500 km2. 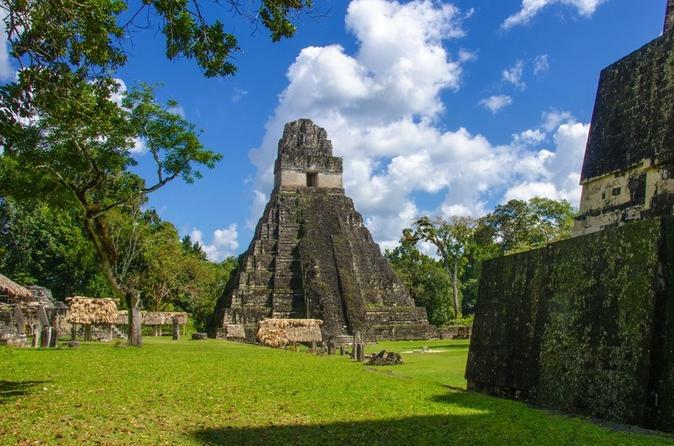 In 1848 Colonel Don Modesto Méndez did the first recognition of this place and now Tikal is a cultural heritage site, declared by UNESCO because of the rich natural beauty that surrounds it. Before the sun rises, you will have to be at “La Aurora” airport to catch the local flight that lasts about 30 minutes, and will take you to the “Mundo Maya” airport in Santa Elena, Petén. There, you will take a vehicle that is going to take you to the Mayan place of Tikal. The archaeological place of Tikal was the first political entity of the ´classic period´. It was a `city-state’ that dominated and area of approximately 2, 500 km2. In 1848 Colonel Don Modesto Méndez did the first recognition of this place and now Tikal is a Cultural Heritage, declared by UNESCO because of its high architectural, ma thematic, urban, commercial, and agricultural development. In the last part our visit, you will have a picnic near Tikal. Then you will go back to the Mundo Maya airport to take the flight that will take you back to Guatemala City.